Planet Aid Donates Winter Coats to WES Health Systems - Planet Aid, Inc. Planet Aid donated 70 winter coats to WES Health Systems in Philadelphia, which provides accredited health care programs and social services for adults, children, and adolescents. 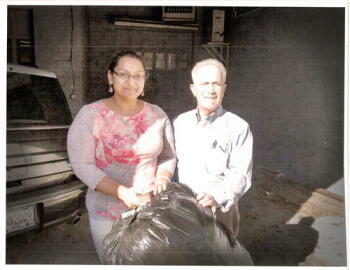 The organization reached out to Planet Aid so that they could assist low-income families during the cold winter months. Thank you so much for your generous donation of coats. Where many families struggle to purchase Winter Coats for their children, this is a great help for those children whose families live under poverty in our community through these tough economic times.